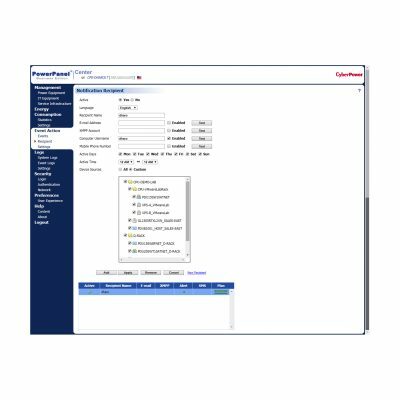 PowerPanel® Business Edition for Virtual machines provides IT professionals with the ability to trigger a graceful shutdown of their virtual environments to minimize and reduce data corruption and downtime during extended power events. The software provides IT professionals with the tools they need to easily monitor and manage backup power for their virtual environments. 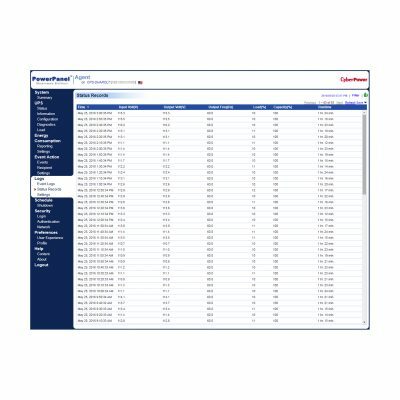 Available for compatible CyberPower UPS models, this software supports up to 250 clients, allowing users remote access (from any network PC with a web browser) to instantly access vital UPS battery conditions, load levels, and runtime information. Functionality includes application/OS shutdown, event logging, hibernation mode, internal reports and analysis, remote management, and more. Power alert notifications can be sent via email, text, or instant message. This software is compatible with VMware ESX/ESXi 4 and above and is Nutanix Ready. PowerPanel Business Edition software’s Agent and Client roles have the ability to shut down a virtual environment by triggering virtual machines to shut down before the software triggers the VMware ESXi™ host to shut down. Able to support vSphere monitoring, vMotion®, High Availability, Distributed Resource Scheduler, ™ and Distributed Power Management™. Enables PowerPanel Business Edition to perform additional functionality to manage and protect virtual infrastructure when power events occur. Used together with vCenter, PowerPanel Business Edition provides ease of management to centralize control and visibility of virtualized environments and power conditions. Out-of-the-box, configurable automated graceful shutdown sequence allows IT professionals to protect their virtual environments from data loss or corruption. Provides the ability to shut down virtual machines, monitoring of clusters, monitoring and shutdown of VMware vSphere® vApps™, and the monitoring of shared storage. Can trigger vMotion to migrate virtual machines within a cluster moving the virtual machine to an available ESXi host seamlessly keeping applications operational during power events to maintain business continuity. CyberPower UPS systems provide the required power protection and battery backup for Nutanix nodes to prevent data loss and potential equipment damage. PowerPanel Business Edition for Virtual Machines, designed to support the Nutanix environment, is available to accompany all professional-grade UPS systems. The software manages and monitors the UPS system and automates graceful shutdown of Nutanix nodes in response to a power event. 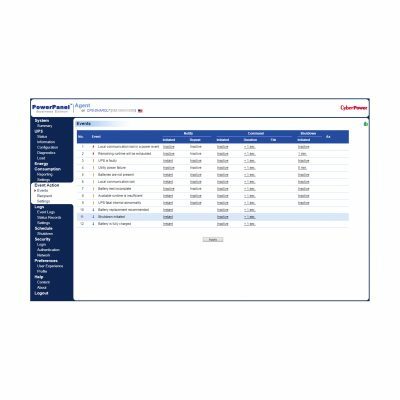 Enables PowerPanel Edition software’s Agent of a Utility Power Event on a supervisory computer when a power outage is detected. Signals PowerPanel Business Edition software agent to run the configured shutdown sequence as setup in PowerPanel Business Edition’s Event Action menu. When a Nutanix environment is enabled, PowerPanel Business Edition Agent will command the configured environment to initiate the shutdown process. Provides configurable controls to provide load shedding during outages extending battery backup runtime. Ability to deliver advanced alerts of power events and conditions for enhanced manageability to keep critical operations online. Provides for remote management of the UPS via a web browser. Displays windows, notifications, dialog boxes, pop-up messages and other information in well-designed, easily navigable menus, and windows. Offers a variety of options and customizable settings. Displays details about Current Status, Summary, Notification, Runtime, Voltage, Self-Test and System Tray Pop-Up Notifications. 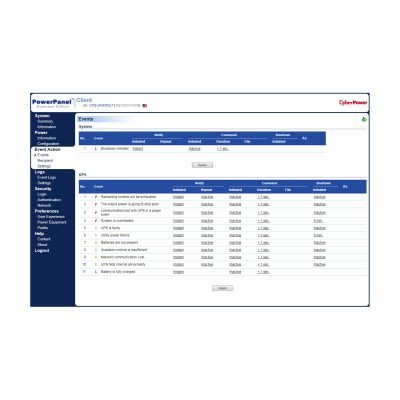 Offers versatile management of various event actions, including utility power failure, local communication loss, remaining runtime being exhausted, among others. Sends notifications via email, XMPP, SMS, and SNMP traps. 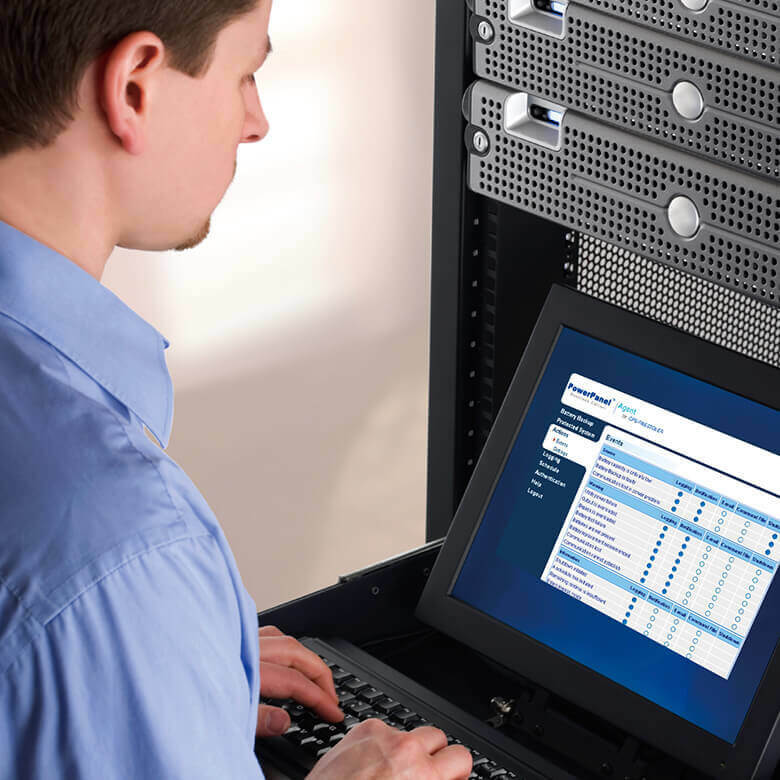 Protects servers and workstations from data loss due to power failure. Automatically saves files and safely shuts down your computer. Lets administrators arrange remote management of tasks and operations, such as scheduled self-tests, shutdowns, and reboots. Provides configurable settings for tracking events. Allows administrators to tailor settings to fit their security needs. PowerPanel® Business Edition software is supported by our dedicated US-based support team. This software is compatible with VMware ESX/ESXi 5, and Citrix. 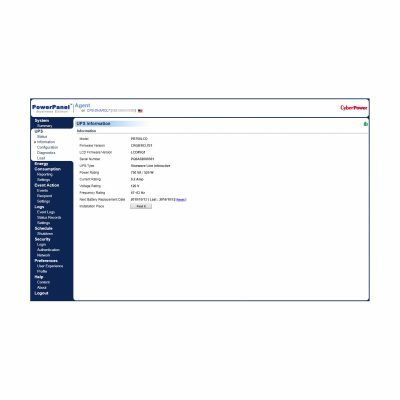 PowerPanel® Business Edition software offers three roles for UPS management: Agent, Client, and Center. When installing this software on a computer, choose one of these roles. Use Agent if you connect the computer to the UPS with a USB or Serial cable. Agent, which is the primary means of communication for a basic setup between a computer and the UPS, supports a limitless number of clients. Use Client if you connect the computer via your network to the RMCARD installed in the UPS or on a secondary computer connected to the UPS (with an agent computer already connected). The RMCARD manages as many as 50 clients. Use Center when you want to monitor and manage all the CyberPower power protection products on your network. The Center role supports a limitless number of devices. NOTE: Only one role can be installed on the same computer. What role of PowerPanel Business Edition installation do I need to choose? Use Agent when you are connecting the computer to the UPS with a USB or Serial cable. Use Client if you are connecting the computer via your network to the RMCARD installed on the UPS. Use Center when you want to monitor and manage all the CyberPower power protection products on your network.